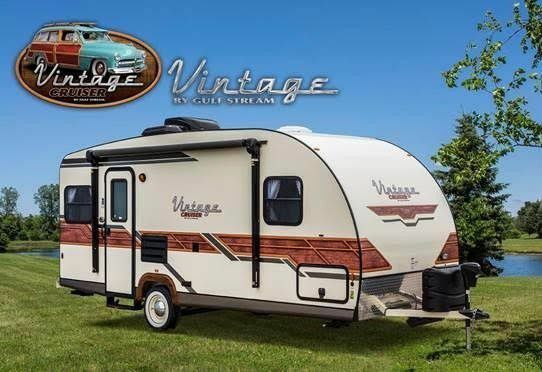 Gulf Stream's Vintage Cruiser delivers 1950's vintage styling, with all of today's technology, comfort and performance. 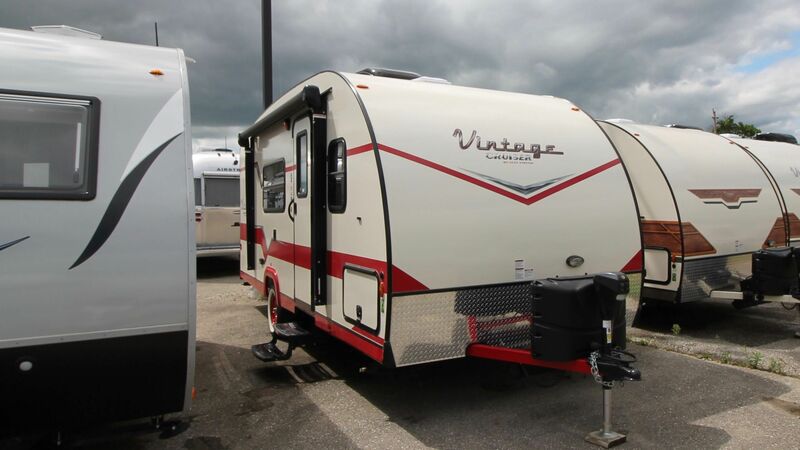 The Vintage Cruiser is built on the Vista Cruiser's successful design: a one-piece, seamless fibreglass front-roof-rear panel over a lightweight aluminum frame for leak-free living and aerodynamic towing. 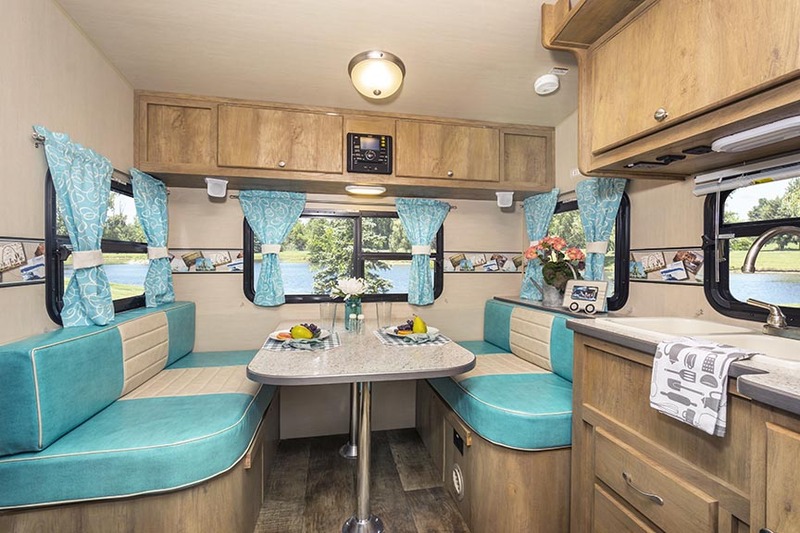 The radius windows and doors, aluminum diamond-plate front stone-guard and steel bumper are accented by an awesome vintage turquoise, repeated throughout the interior decor. 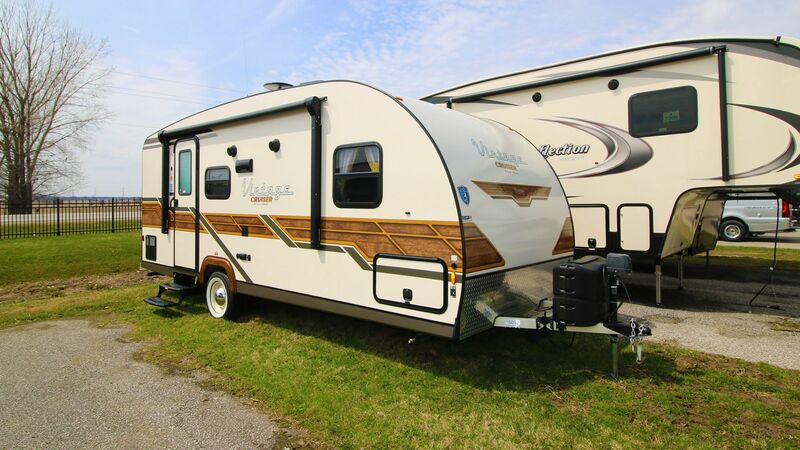 Available today in two popular Vista Cruiser floorplans: 19ERD and 19RBS.